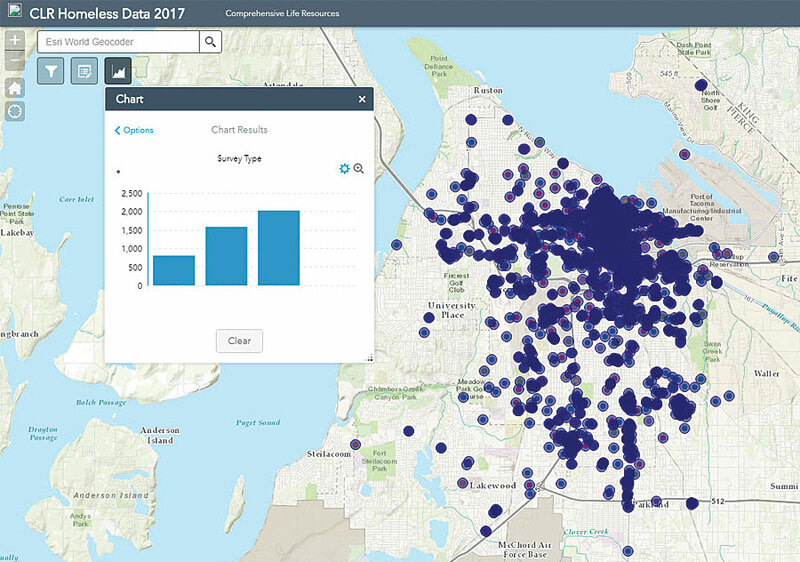 Equipped with innovative ideas, industry expertise, and the ArcGIS platform, Esri partners are implementing enterprise GIS that keeps workers safe, increases efficiency, and saves on costs. Find out how the following four Esri partners are making organizations and communities smarter by giving more people access to a wide range of geospatial information. With Critigen’s Lemur, schedulers can see crew locations in the SAP Work Manager map view and share them with dispatch so dispatch can notify the nearest crew member of an outage or emergency. Hydro One, which has served Ontario, Canada, since the early twentieth century, faces a constant challenge: finding innovative ways to increase the performance of its vast electricity system while reducing costs and keeping safety the number-one priority. As the owner of 97 percent of the transmission network in Ontario, Hydro One needed to move away from antiquated paper-based processes that limited access to information, led to questionable data integrity, and required months to make simple updates. Linemen, for example, could only carry maps of their operational areas in their trucks, meaning that if there was an incident in another jurisdiction, those maps would be useless. “We needed a new way to connect our offices to the field forces, and vice versa,” said Brad Bowness, vice president of distribution at Hydro One. The solution was to implement Move to Mobile (M2M), which tightly integrates Hydro One’s SAP Enterprise Asset Management system and SAP Work Manager (a scheduling software) with Lemur from Critigen. 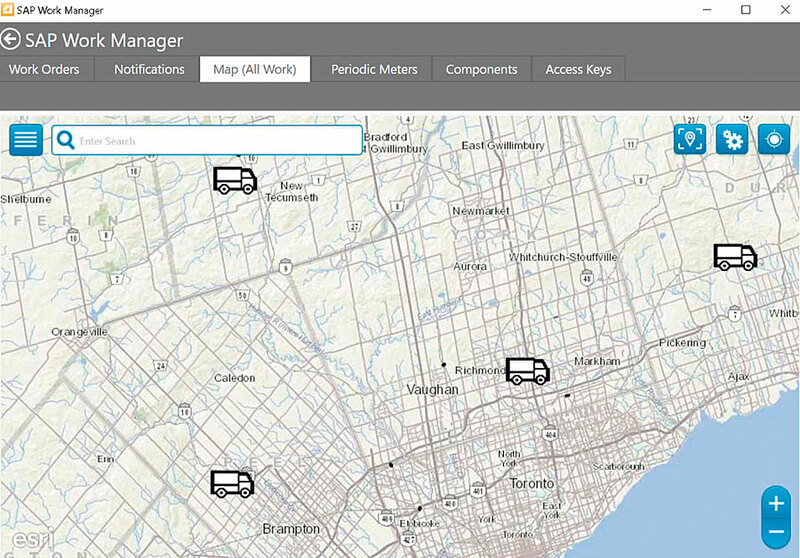 Running in the ArcGIS platform, Lemur automates the process of sending updated map data to field crews’ tablets. Getting field data back into the office is easy, too. “As line maintainers complete their work in [SAP Work Manager], our business processes are maintaining that asset information both on the SAP side and in the enterprise GIS,” explained Coulson. With truck locations now visible to schedulers, dispatch can quickly notify the nearest crew member to respond to an outage or emergency. At the same time, crews can submit new issues they encounter while in the field or make the decision to address these problems on the spot. “They’ve never had that visibility before, and they are taking ownership of the process,” said Coulson. By integrating these best-in-class technologies, Hydro One replaced more than 40 paper forms, modernized its scheduling methods, and gave linemen real-time access to up-to-date SAP data and GIS maps. Moreover, using Lemur to automate the extent and frequency of map cache updates lowered the demand load on Hydro One’s server architecture, reduced data entry time from an upper end of 180 days to 4 or 5 days, and greatly improved the integrity of field submissions. Citizens, businesses, and city staff can use the Medford Land Information (MLI) system to search for information about county parcel taxes, sales, and details, as well as to view parcel maps. With a population of 81,000 that’s growing at a steady rate, the City of Medford, Oregon, needed a new way to provide city staff and residents with access to public land information. 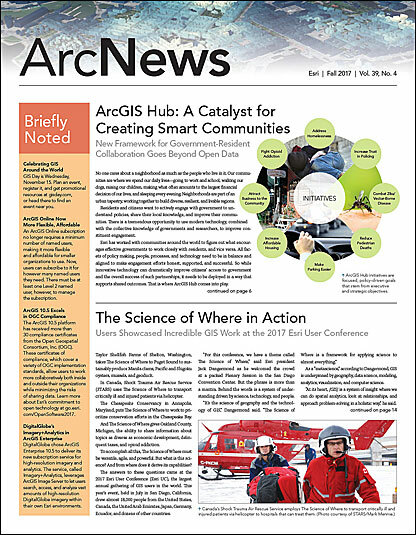 So the city’s GIS team collaborated with VESTRA Resources, Inc., to replace its existing app with one that leverages Web GIS via the ArcGIS platform. The Medford Land Information (MLI) app is a modern, mostly out-of-the-box solution that empowers decision-making and fosters collaboration within the city, as well as with the public. It contains information about building permits, occupational licenses, planning and zoning, code enforcement, infrastructure, aerial photos of the entire city, and more. The app aggregates data from multiple servers and puts it in one location. Requiring minimal to no training, MLI allows citizens and businesses to easily wield the same public-record information as city staff. Users can find a wealth of information about each parcel in the city, including land value, the year any structures were built, and the zoning and fire districts. They can also use MLI to answer spatial questions such as, Which ward do I live in? and What elementary school serves this area? Having all this information available to the public has substantially reduced the number of calls the City of Medford receives from citizens, which has helped staff save time, reduce costs, and be more effective overall. Additionally, in allowing Medford’s citizens to easily visualize this information on maps, the city is keeping them informed and engaged with their community. The real-time map view in the Clevest Mobile Workforce Management solution allows employees at Denton Municipal Electric (DME) to instantly filter items such as electric orders, outages, and locates. Denton Municipal Electric (DME) has been serving the Greater Denton, Texas, area for more than 100 years. To continue to provide effective and efficient utility services, the company needed to replace older technology with new systems that would help improve response times, increase reliability, and ensure crew safety. To improve productivity and data integrity, amalgamate dispatching and work assignments in one system, obtain real-time visibility into field activity, and help crews quickly and safely get to their assignments, DME partnered with Clevest Solutions, Inc., and implemented the Clevest Mobile Workforce Management system, which is fully integrated with the ArcGIS platform. DME’s project required a configurable, utility-wide system for managing work; the ability to create and administer work orders for various citywide calls for service about water and wastewater, locating electric and fiber-optic service lines, and to repair or replace meters and city assets such as poles or streetlights; and new ways to integrate multiple systems used to manage everything from customer information, assets, maintenance, and outages to GIS and 811 (the call-before-you-dig line). The utility also needed a way to handle ticketing for non-customer calls, such as those to report leaks from services DME doesn’t handle, both at the office and in the field. The Clevest Mobile Workforce Management solution lets DME provide mobile service, outage, and locate orders. 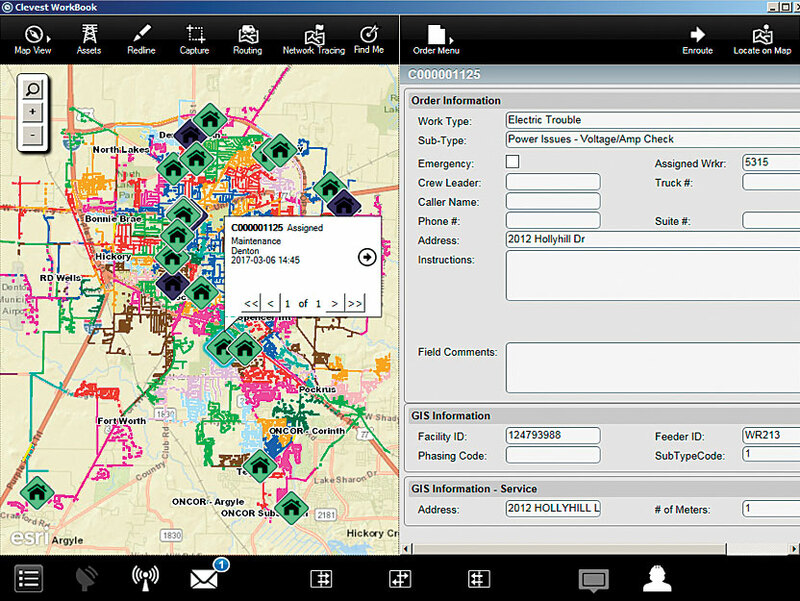 And all this is integrated with ArcGIS Enterprise and ArcGIS Online, as well as ArcGIS Network Analyst. Office employees use Clevest WorkSpace on their desktop computers, while staff in the field access a mobile app called WorkBook on their smartphones or tablets. So far, the feedback about M2M has been positive, with office staff and field crews finding the Clevest solution easy to use and informative. Price said that DME’s response times are speeding up as well. With almost 5,000 surveys submitted, Comprehensive Life Resources (CLR) can now analyze its homelessness data to find trends and patterns. In 2014, the City of Tacoma, Washington, began working with community partners to address issues related to mental health, substance abuse, and homelessness. After soliciting community feedback, the city partnered with Comprehensive Life Resources (CLR), a nonprofit organization that offers mental health, homeless, housing, and other human services to residents in and around Tacoma. One of CLR’s programs, called Positive Interactions, assists local businesses in addressing concerns related to homelessness and blight. Tailored to fit the needs of both businesses and individuals experiencing homelessness, Positive Interactions operates a response line that business owners and community members can call to express their concerns about homeless activity in their areas. CLR field crews then engage directly with the homeless individuals in a way that is sensitive to the traumas they have faced to learn their needs and connect them with services. To get Positive Interactions started, CLR employees collected field data about businesses and Tacoma’s homeless population on paper and then completed fillable forms in Microsoft Word once they got back to the office. It was common to have lapses in time between interacting with homeless individuals and submitting the forms, which often resulted in lost or inaccurate data. CLR also needed to record spatial information, analyze data, track time and resources, and create reports—but it couldn’t do any of this easily. So CLR approached Frontier Precision, which suggested that the organization employ Survey123 for ArcGIS on employees’ phones and tablets to gather data in the field. Since nobody at the nonprofit had experience with GIS, CLR had Frontier Precision assist in configuring, deploying, and managing the survey and the data. CLR deployed the digital survey in September 2016, and since then, employees have submitted almost 5,000 surveys. With so much data, CLR can analyze it to find trends and patterns in where homeless activity takes place, how homelessness changes during different seasons, and how demographics factor in. Now, management can better deploy field crews to areas with high levels of homeless individuals. And crew members can view prior surveys to figure out if the homeless individual they are about to visit has been contacted before and follow up with him or her on services that were previously offered. After Frontier Precision demonstrated how helpful GIS is and how easy it is to use, CLR fully embraced the technology by deploying it across the organization in several different programs. Starting this year, CLR will have a public resources locator that will help members of the community and case workers find housing, financial, and legal services for those in need. Additionally, CLR will employ Survey123 for data collection related to its gang reduction project, its mobile community intervention response team, and for foster care case management.